From the Google Play Store, Search by pressing on the white box at the top of the screen. Enter “apps2fire” and press the Search icon to perform the app search, since the [easyazon_link identifier=”B00RUHF7N6″ locale=”US” tag=”arizonacaorg-20″ cart=”n”]AGK Fire (ad free)[/easyazon_link] app costs money and the [easyazon_link identifier=”B00QX52SLA” locale=”US” tag=”arizonacaorg-20″ cart=”n”]AGK Fire ad-supported version[/easyazon_link] is apparently no longer available in the Google Play Store. You can get the APK file for that elsewhere, or use [easyazon_link identifier=”B00WQ7F9JM” locale=”US” tag=”arizonacaorg-20″ cart=”n”]Apps2Fire[/easyazon_link] (which is free). One more sideloader app for Fire TV is CetusPlay. Check out our Install CetusPlay guide if you choose to install CetusPlay to sideload Kodi. Apps2Fire is an amazing little sideloader app for Android devices. This is my go-to for when I want to sideload to Fire TV or FireStick. On your FireStick / Fire TV, go to Search – then enter “apps2fire”. Use Apps2Fire to transfer any app that’s installed on your Android phone over to your Fire TV! Boom. CetusPlay is a free app on the Google Play Store that lets you sideload apps to FireStick and gives you a built-in mouse app. Install a mouse app on an Android device. CetusPlay is a free app on the Google Play Store that not only lets you Sideload apps to Fire Stick, but also has a built-in mouse app. As far as what kind of Android device to use as your “mouse”, any Android device should work – such as an Android smartphone or tablet. A mouse app can “emulate” a real mouse, using your Android phone’s touch screen in the same way a laptop’s touchpad operates. So just go to the Google Play Store on your Android phone and search for “fire tv mouse”. Then install a highly-rated Fire TV mouse app, connect it to your Fire Stick using the on-screen instructions, and control your Fire Stick or Fire TV using your Android phone as a touchpad. It’s cool – try it. 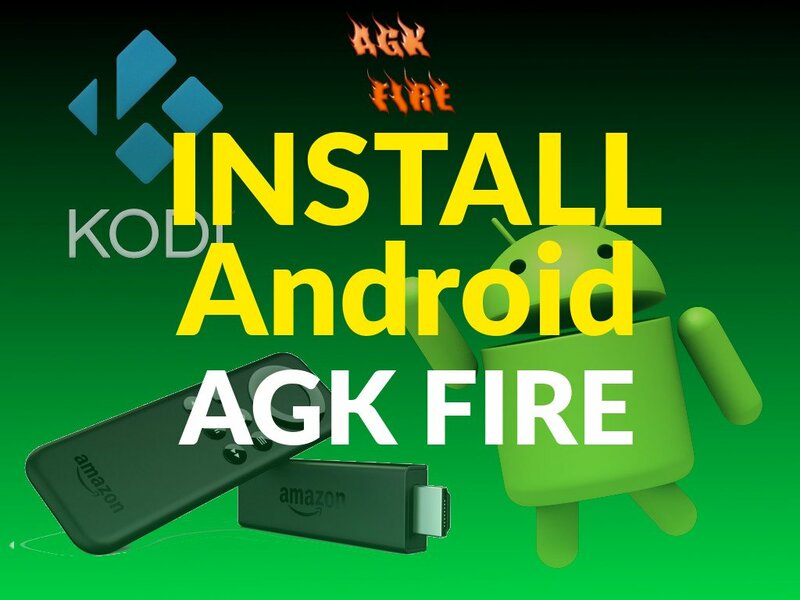 Apps2Fire and AGK Fire are two of the easiest apps to install Kodi on FireStick & Fire TV. In addition to that, we have the Install Kodi on FireStick 2017 method, which requires no sideloader at all. If you have questions, ask on the KFire YouTube Channel.